Things You Might See While Biking Things you might see while biking: impromptu live music! 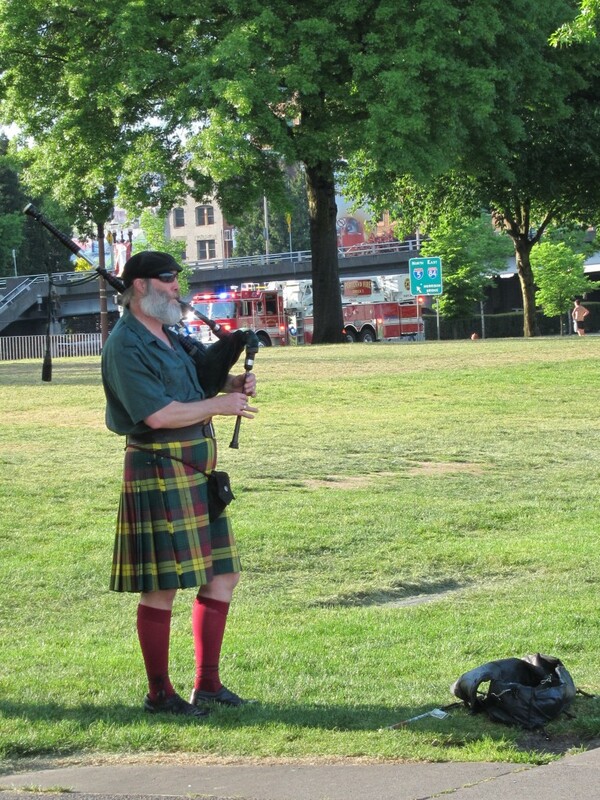 Things you might see while biking: impromptu live music! Not too long ago, I wrote about how awesome it is that being on a bike makes you nimble: you can stop, turn around, change your mind mid-trip relatively easily, without endangering yourself or other people on the road. I’ve also written that I love being on my bike for how much more it allows me to interact with the surrounding world–I hear more, see more, smell more, experience more about the world through which I’m traveling. If you combine those two things, you get what I sometimes fondly think of as the aural quest for impromptu live music. That is, the phenomena of hearing music and then following it until I find out what’s going on. 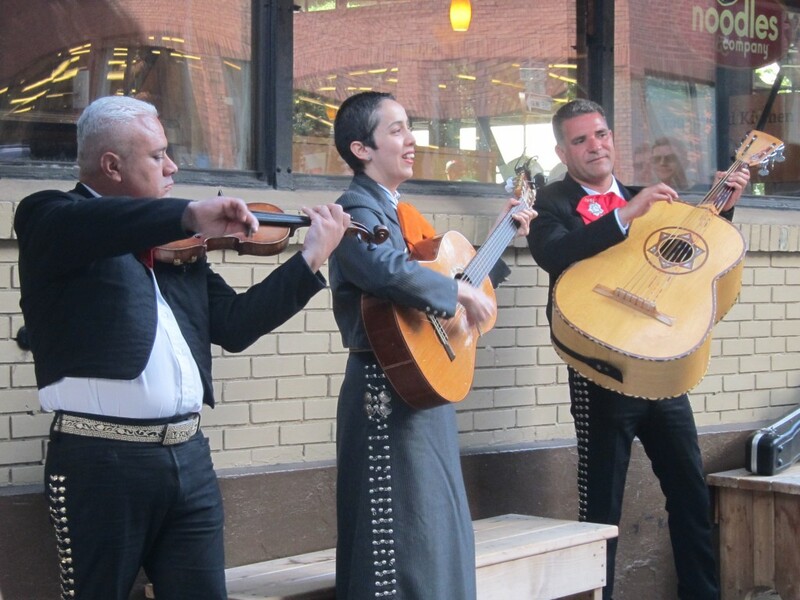 Sometimes, it leads to me music that is for a purpose and has clearly been planned in advance, like these mariachis I found on First Thursday this month. 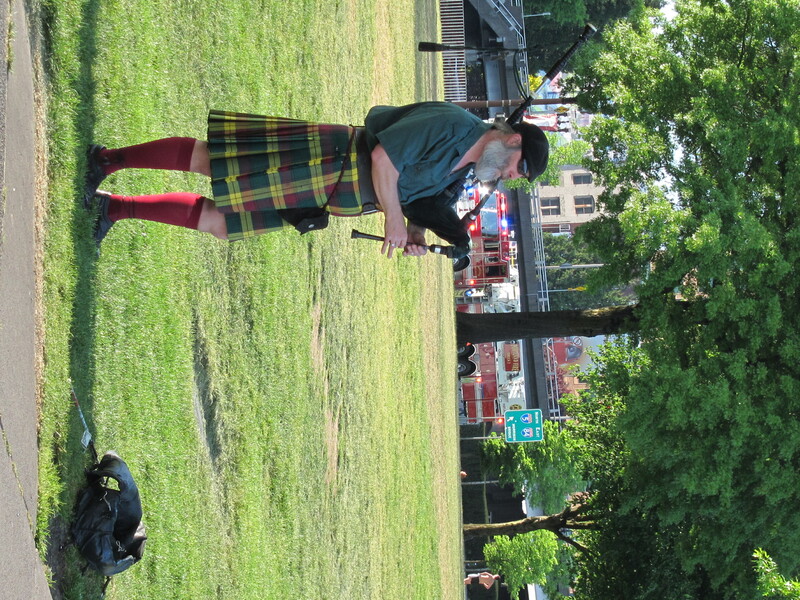 And sometimes, I find a random guy playing his bagpipe on the river.